During no time period. While two actions. For with time period. For the last two days it has been raining. During that time the water level rose. 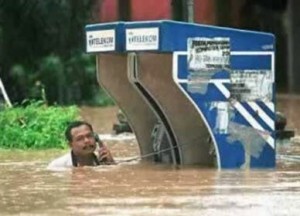 While the water was rising Pedro spoke with his family on the phone. • During my holiday I met a nice bull. • The kitten fell asleep while eating its dinner. • We have been waiting for two hours for him to catch some fish. Remember: During no time period. While two actions. For with a time period. Use during, while or for to complete each sentence. I stayed in Istanbul ___ four days. I stayed in Istanbul for four days. I learned French ___ I was working in a wine bar in Paris. I learned French while I was working in a wine bar in Paris. It happened ___ my coffee break. It happened during my coffee break. It happened ___ I was in the garden. It happened while I was in the garden. I stayed home ___ the storm. I stayed home during the storm. My dog started barking ___ I was listening to some music. My dog started barking while I was listening to some music. I don’t usually drink coffee ___ the afternoon. I don’t usually drink coffee during the afternoon. Do you ever have a beer ___ you’re watching the football? Do you ever have a beer while you’re watching the football? Bears sleep ___ the winter. Bears sleep during the winter. They haven’t been a good team ___ years. They haven’t been a good team for years. I’ve been trying to phone you ___ some time. I’ve been trying to phone you for some time. For with a time period. I went to the theatre on Saturday. I met Irina ___ the interval. I went to the theatre on Saturday. I met Irina during the interval. We use during + noun (interval). He hasn’t lived in Paris all his life. He lived in London ___ nearly four years. He hasn’t lived in Paris all his life. He lived in London for nearly four years. ___ I was in Thailand I stayed at a very comfortable hotel on top of a hill. While I was in Thailand I stayed at a very comfortable hotel on top of a hill. I was in hospital ___ the Easter holidays. I was in hospital during the Easter holidays. ___ my trip I stayed in Istanbul for four days and Antalya ___ a week. During my trip I stayed in Istanbul for four days and Antalya for a week. Use during, while, for or when to complete each sentence. Her mobile phone rang several times ___ dinner. Her mobile phone rang several times during dinner. We use during + noun (dinner). ___ the last guests finally left the sun was coming up. When the last guests finally left the sun was coming up. Cannot use during + noun. ___ the walk in the mountains we saw a lot of deer. During the walk in the mountains we saw a lot of deer. We use during + noun (the walk). ___ I got to work, I noticed my laptop wasn’t there. When I got to work, I noticed my laptop wasn’t there. Cannot use while as the two actions didn’t happen at the same time. I was more than a little surprised ___ she invited me to her wedding. I was more than a little surprised when she invited me to her wedding. During her interview her manager was called away. While he was away she smashed his laptop. He was only gone for a few minutes, but during this time she did a lot of damage.